Reliability and safety are fundamental attributes of any modern technological system. To achieve this, diverse types of protection barriers are placed as safeguards from the hazard posed by the operation of the system, within a multiple-barrier design concept. 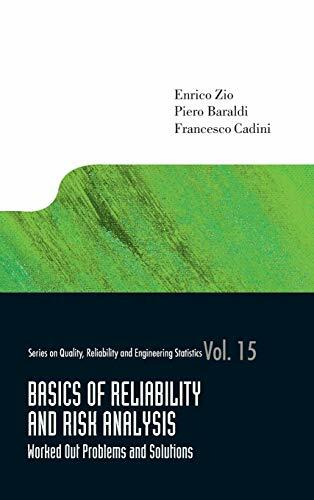 These barriers are intended to protect the system from failures of any of its elements, hardware, software, human and organizational.Correspondingly, the quantification of the probability of failure of the system and its protective barriers, through reliability and risk analyses, becomes a primary task in both the system design and operation phases.This exercise book serves as a complementary tool supporting the methodology concepts introduced in the books &#x201c;An introduction to the basics of reliability and risk analysis&#x201d; and &#x201c;Computational methods for reliability and risk analysis&#x201d; by Enrico Zio, in that it gives an opportunity to familiarize with the applications of classical and advanced techniques of reliability and risk analysis.This book is also available as a set with Computational Methods for Reliability and Risk Analysis and An Introduction to the Basics of Reliability and Risk Analysis.